PennDOT hosted community meetings on Wednesday, September 19, 2018 and Wednesday, September 26, 2018 at the Selinsgrove Middle School for residents who live outside the Ash Basin Focus Area and whose property is immediately adjacent to or close to the proposed CSVT Southern Section highway. During the meetings, PennDOT displayed a 3D computer model of the proposed highway in order to help residents better understand how the completed project will look from the community. 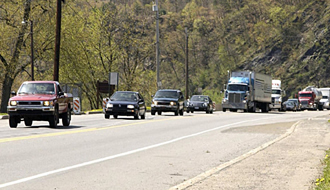 PennDOT and the Federal Highway Administration (FHWA) have prepared a Supplemental Environmental Assessment (EA) for the Ash Basin Focus Area within the CSVT Southern Section. The EA evaluates alternative alignments for modifying the approximately 2-mile-long portion of the project between Fisher Road and Sunbury Road to avoid the fly ash waste basins. The EA was made available for public review and formal comment during a 30-day period beginning June 6, 2018. PennDOT and the US Army Corps of Engineers (USACE) held a joint Public Hearing on June 21, 2018 at Shikellamy High School, Sunbury to provide interested parties an opportunity to testify concerning the effects of the project within the Ash Basin Focus Area. 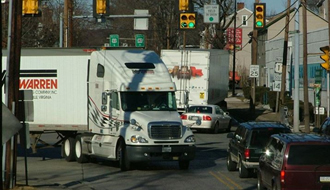 PennDOT is currently reviewing and preparing responses to the comments received during the 30-day period ending July 6, 2018. After all comments have been addressed, the comments and associated responses will be sent to FHWA with a request to issue a Finding of No Significant Impact (FONSI), which represents environmental clearance for the Ash Basin Focus Area. When issued, the FONSI will designate the alternative selected to advance into final design, right-of-way acquisition, and construction. To view aerial photos of the construction of the CSVT Northern Section as of Spring 2018, Click here. 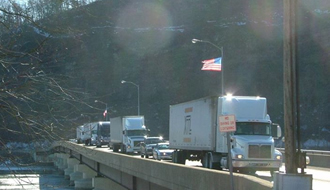 PennDOT hosted community meetings on Monday, April 23, 2018 and Wednesday, April 25, 2018 at Econo Lodge Inn & Suites, Shamokin Dam for residents who live within the Ash Basin Focus Area and whose property is immediately adjacent to or close to the Eastern Alternative for the CSVT Southern Section. 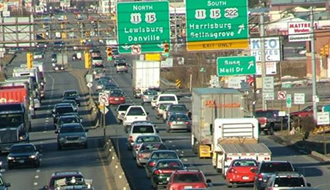 During the meetings, PennDOT displayed a 3D computer model and photographic renderings of its recommended alternative in order to help residents better understand how the highway within the focus area will look from the community. PennDOT hosted a public meeting on Wednesday, November 15, 2017 at the Selinsgrove Middle School to present and receive feedback on the results of detailed studies performed over the summer along with its recommended alternative for the CSVT Southern Section to avoid the existing fly ash waste basins. A recap of the feedback provided at the May public meeting, other design changes, and anticipated next steps to move the project forward to completion were also presented. PennDOT hosted a public meeting on Thursday, May 25, 2017 at the Selinsgrove Middle School to present and receive input on three preliminary realignment alternatives developed for the CSVT Southern Section to avoid the nearby fly ash waste basins. A recap of the feedback provided at the February public meeting and some other design changes made since that meeting were also presented. 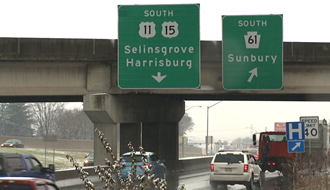 PennDOT hosted a public meeting on Wednesday, February 15, 2017 at the Selinsgrove Middle School to provide updates and seek input on recent design changes and current challenges on the CSVT Southern Section. In particular, public input is needed to modify the project alignment between Fisher Road and Sunbury Road, based on the recently identified need to avoid constructing the new highway on existing fly ash waste basins. 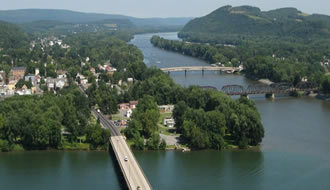 To view aerial photos of the construction of the new bridge over the West Branch Susquehanna River as of Summer 2016, Click here. 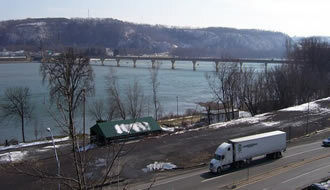 While the Central Susquehanna Valley Transportation (CSVT) Project has been delayed in the past by a lack of funding, the state’s passage of a comprehensive transportation funding plan (Act 89) in November 2013 will allow PennDOT to allocate sufficient funding to complete this $670 million project (estimated total cost based on anticipated year of expenditure). 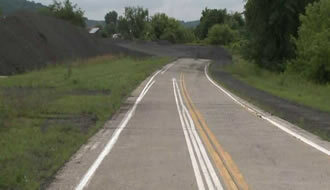 With funding identified, PennDOT reactivated work in late 2013 on the activities that must be completed before construction of the CSVT Project can begin. The project is currently planned to be completed through a series of 7 construction contracts (3 for the Northern Section and 4 for the Southern Section). The first section to be constructed will be the Northern Section, and the first contract is for construction of the river bridge, with work planned to begin in late 2015. The entire project is currently anticipated to be completed by 2024, but possible methods of accelerating completion will be considered throughout project development. 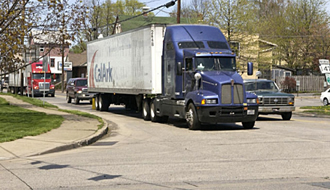 View PennDOT'S brochure When Your Land is Needed for Transportation Purposes.